In case you aren’t aware, the brochure for the Festival of Quilts held on May 28 and 29 at Heritage Park is now available online and at our store. The entry deadline for displaying your quilts (this is not a competition, simply a fabulous display throughout the park) is April 1, 2016. So now is the time to fill out your entry form and finish those quilts up. Remember, without people’s participation, there is no show. Along Came Quilting is the proud sponsor of the Saturday night dinner and entertainment at the Wainwright hotel. 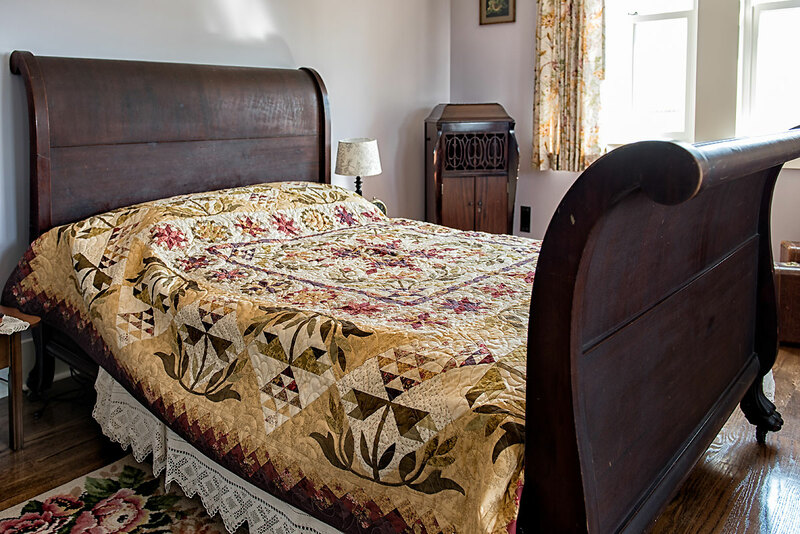 Following a scrumptious meal prepared by the chefs at the park, Catherine Redford will delight us with her entertaining look at “Lessons Learned While Quilting”. Please call the park at 403-268-8500 to purchase these tickets. Early bird pricing ends this Friday. Last year I met up with friends at the park on the Sunday afternoon of the Festival. It was so nice to reconnect and enjoy the quilts everyone so graciously put in for display. My friends are fabulous photographers, and I am blown away by the pictures my friend Linda Braun took of Heritage Park and the quilts. You may also enjoy them by viewing them here. 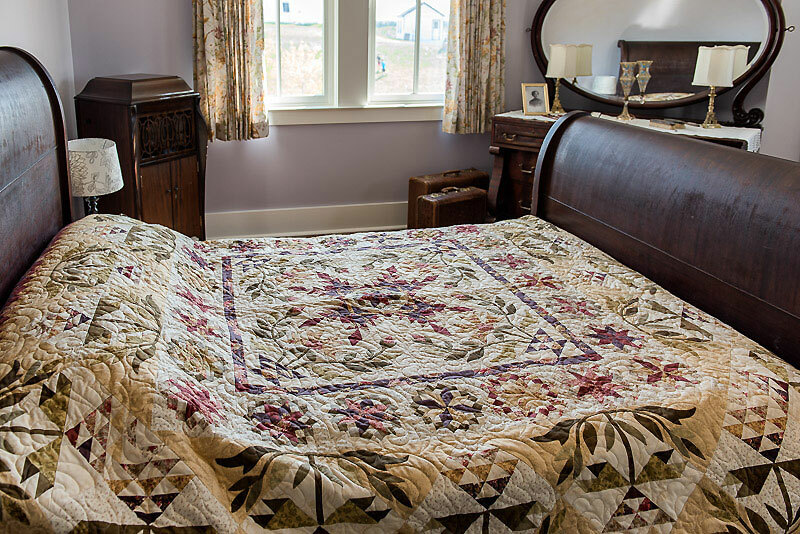 I’ll finish off with a couple of photos of Shelley Bennett’s Common Bride quilt displayed at the Nellie McClung house at Heritage Park last year. Shelley made this quilt in Kim’s class over the course of a year. It was obvious the volunteers matched the quilt to the room; the lilac walls picked up the lilac colours sprinkled throughout the quilt top. Photos are courtesy and copyright of Linda Braun. Common Bride is a pattern by Edyta Sitar of Laundry Basket Quilts. Longarm quilting by Irene Campbell. If you click on the photos, you’ll get a much larger, crisper image.